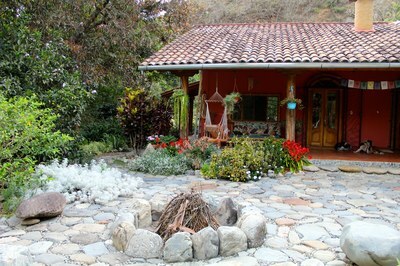 Abundant Living Ecuador offers an unparalleled, full service, real estate, and relocation experience. We provide a transparent, standardized, market clearing mechanism for real estate in Southern Ecuador and facilitate a smooth transition for those relocating. 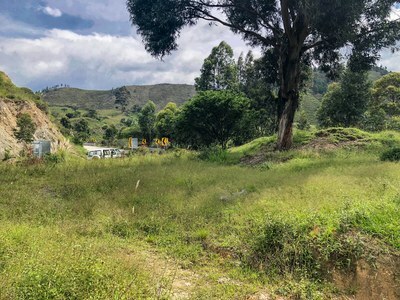 Located off the main, paved road in Yangana sits 7.6 hectares (~19 acres) of fertile land with amazing views and pure water. The property has pure 24/7 flowing water piped in from Podocarpus National Park suitable for both drinking and irrigation. The land has flat sections and sloped sections throughout making it ideal for multiple private home sites. There is already a large banana grove as well as guava, nispero, cherimoya, lemon, coffee, orange, plantain, yucca, grenadine, avocado, guayaba and tuna. 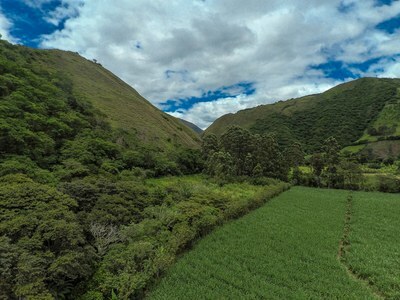 Under 25 minutes to Vilcabamba, approximately 1.5 hours to the airport and just over an hour to Loja in the ideal climate of Yangana, this property offers ease of access with the weather perks of Yangana. The climate in Yangana is ideal, warm year round, yet never too hot. As a result of the cooler temperatures, there are very few bugs yet it is ideal for agriculture. There is also a year round stream that borders one side of the land. Electricity is already on the property.